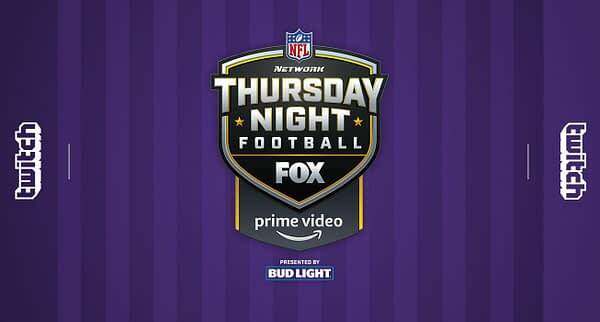 This morning, Twitch announced they will have a new partnership with the NFL exclusive to Prime Video where Thursday Night Football becomes interactive. Starting tonight, September 27th, when the Rams face off against the Vikings, you can log into your Prime Video account and watch the game, as well as have access to several interactive emotes and features. We have some of the features listed here, but the short version is that you’ll have extensions, you can co-stream with GoldGlove, and have new emotes. If you use Amazon Prime, you get access to an X-Ray feature on your computers or Fire TV devices, plus stats and access to a shop. This is basically a dream we’re sure a lot of at-home NFL fans have had for years so they could be interactive with others watching from home. Enjoy the game tonight! Extensions – Extensions bring interactive functionality to online viewers in the form of a computer screen overlay that can be interacted with just by pointing-and-clicking on it. With the TNF Extension that will be coming soon after the 9/27 game, viewers can access all of a team’s stats in real time, such as NFL standings and Team Stat Pages. In addition, viewers will be able to make game and quarter play guesses with a leaderboard tracking how well they know their stuff. Co-Streaming – The Twitch broadcast on 9/27 will feature Co-Streaming with popular Twitch streamer GoldGlove. Co-Streaming allows GoldGlove to use his own commentary as he streams the game to his community, resulting in the ultimate fan-as-commentator experience. New Global Emotes – The live viewers in Twitch chat have access to an array of NFL “emotes,” which are the emojis native to Twitch. 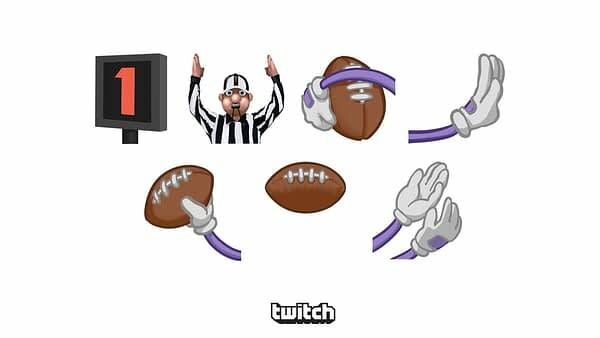 These emotes include every team logo and some original emotes Twitch created to celebrate touchdowns, flags, catching and running with the ball, and more. Stats – Fans can now use Game Leaders and Team Stats to keep track of top players rushing, passing, receiving and other stats live. Realtime Play Stats and History – Never miss another play. Wondering how many yards your team just gained on the last play or what happened on the first play of the game? Customers can use the Play History tab to read the details on any plays they may have missed or just want more information on. Teams – Dive deep and learn more about your favorite teams and players. Use the Teams tab to answer quick questions like; “Who owns the team?”, and “How many Super Bowls have they won?” Customers can also use the Teams tab to find any player from the home or away roster and click to see facts about each. Shop – Browse home and away team featured hats, t-shirts and other gear on your TV. Now customers can shop and buy certain officially licensed team merchandise right from their living room. Shopping available in the U.S. only.